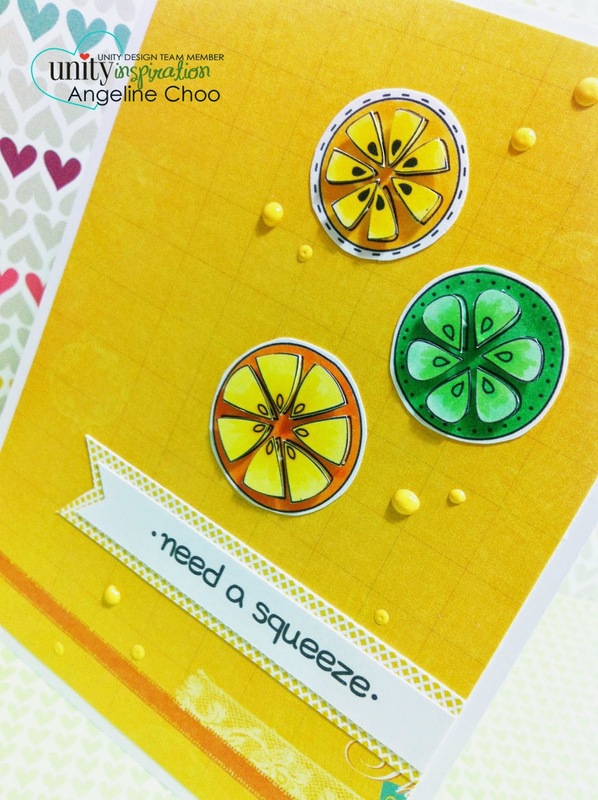 It's Angeline here introducing to you our new Stamp of the Week - Need a Squeeze. For only $5.79/week you will be getting a fresh new stamp every week which will not be found in stores! I've made this fun fresh card using this fun image/sentiment. 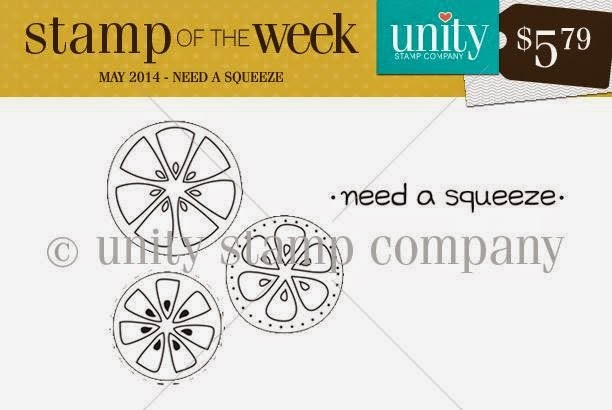 Here are some amazing YUMMY creations by the Design Team Unity chicks have created with this week's SOTW.